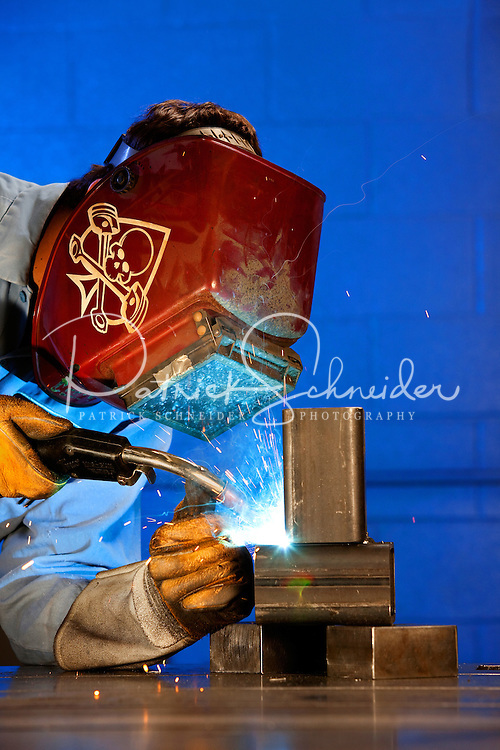 A welder working at Max Daetwyler Corporation, which manufactures equipment and products for the printing industry, including pressroom applications in the gravure and flexographic industry. The founders of Daetwyler USA started the company in 1975. Located in Huntersville, NC, the manufacturing company employs more than 70 people.